Have you ever had something you really wanted to see or do, and you waited and waited, and it finally came to fruition? Well, after fifteen long years (it seemed long to me!) of waiting for something I really wanted to do, it finally came to fruition! 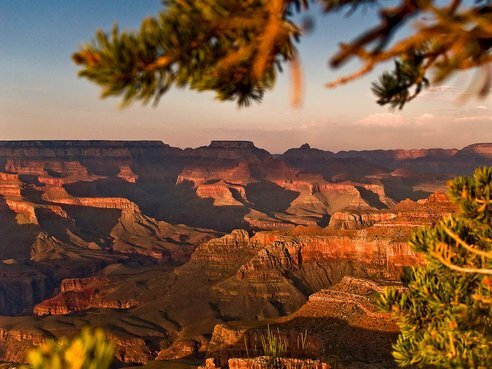 I recently had the privilege of visiting the gloriously amazing Grand Canyon! Oh my, it was more breath taking than I had ever imagined!! “Sing to Him, sing praises to Him, speak of all His wonders.” 1 Chronicles 16:9. God is so good, that not only does He meet all of our needs, but He also allows us to experience many of our wants, such as this trip that I waited 15 years to take! During our time out West, not only did we see the Grand Canyon, but we also visited Hoover Dam (I’m still in awe of that spectacular engineering feat!) and Red Rock Canyon National Park; it was as if God took a cosmic crayon and literally painted those massive rocks in different shades of red, truly amazing! Although we experienced some incredible things on our trip, nothing compares to the amazing wonder of God’s provision of giving us, who are broken people, a perfect Savior! I know that we have just celebrated Resurrection Day, but the celebration does not end when the day passes on the calendar. Every day we can celebrate God’s awesome plan of redemption; how wonderful that the Lord provided a way for lost people to be reconciled to Him, and it is only through His Risen Son!! He suffered, so we would not have to suffer. He died, so we would not have to die spiritually. He arose, so we can be raised to a new life. “Easter Sunday” is over, yet the meaning of all that Christ accomplished for us on the cross is an everyday reason to rejoice!! Yes, I waited fifteen years to see the amazing Grand Canyon; but what is even MORE amazing is that a person can receive Jesus Christ today, at this very moment, and have all of their sins paid for in full!! 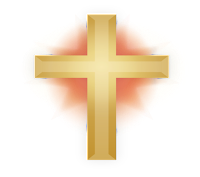 The cross of The Lord Jesus Christ…. So Amazing!!! Last week I blogged about knowing God's will. Roger and I were struggling with knowing what God would have him to do..............as far as secular jobs. Finally Roger began to pray....God, if this new job is NOT your will, please just close the doors because right now I am so discouraged that I just might jump at any change without really looking at the whole picture. We could only see the little picture.......but God could see it all. Long story short......................we kept waiting on the job offer, but it never came. Because of how Roger had prayed and had asked me to pray...........we had a peace about it. For some reason, it was not God's will. Today he got a call from the new company. They had been ready to make him an offer, but an unexpected issue came up and their biggest contractor decided they wanted to fill that position with one of their employees. I say all of this to say.....we were sooooooooooooo confused, UNTIL we let go and gave it to God. We did not have to figure out God's will.....we just had to step back and let him in the drivers seat. Just let go................give it to God. Now....if we could remember to ALWAYS do this, the worries and frets would disappear. Sorry..............but I could not resist. I KNOW I am an annoying Mimi....but I figured....you have a choice............you can just skip this blog each time I blog. Smile. I am a planner.....a list maker, etc. That's how I function. We planned out mini-get-away so that we could pray, meditate and be shown God's will for Roger's secular job. Also.....it was a time for us to de-stress and relax and enjoy some time together. It was the beginning of my Spring Break. Naturally, I had it ALL planned out. We were going to the Council Meeting Friday and Saturday. Saturday night and Sunday night were going to Carson Springs for a time of relaxation. And, being so close to the outlets.........I had my shopping list made. I was ready. Roger had taken all week of my spring break off to, so we were going to enjoy. My plans were....we would come home Monday afternoon and stop in Cleveland, TN to pick up our dog and also to watch our grandson play t-ball. I was going to get the grandkids to spend the time with me.....their mom has already had her Spring Break.......and Tuesday we were going to get up and drive to Alabama to see our Moms and let them see the great-grandkids.................since we don't get to go there often. Our son and his wife usually eat an Easter supper with us Saturday night and I cook Easter meal for our daughter, her husband and kids on Sunday. I also had Monday off work....for Easter...............so my plans were to relax and clean up and get ready to go back to work. BUT....My Plans got changed because of an unexpected BUMP in the road. On Wednesday, April 5th we got out of school early because tornados were coming. I had felt bad over the weekend and had continued to feel rough. Sore throat....head aches....just plain yulky and coughing and snotting. YULK. SO.....I decided to take advantage of the bad weather and go to the Walk-In Clinic. I told the doctor my symptoms, etc. and told him that I teach the little kids on Wednesday nights and we were going out of town, so I just wanted to make sure I was okay beforehand. I had been taking over-the-counter meds. He checked me out. No tests. Said he thought I had a sinus infection and upper respiratory infection, so he gave me and antibiotic and special cough medication and told me to leave all of the over-the-counter meds alone. He said he did not think I was anymore contagious than a cold, but since I was so tired...........he advised me to take off work....rest and drink plenty of liquids. I took Thursday and Friday off. We went on our trip..........................I FELT HORRIBLE. Food did not taste good.........I was weak...............I was achy.......It was rough. We made it through the meetings and went on to Carson Springs. I had my list made..............grabbed a couple of things................ate because I needed to, but it had no taste.......................slept late and felt terrible. The only good thing I can say is...............we RESTED. Had we been home, Roger would Not have Rested. We did very little but rest. Came home, stopping in Cleveland, but I did not feel like bringing the grandkids home or going to Alabama. I went to bed. By Thursday...........I went back to the doctor. My doctor in Chattanooga. After checking me out...........he wanted to run chest x-rays and blood work to make sure I did not have pneumonia. They both came back fine, so he said we were going to treat it as POST FLU....with no tampi-flu...........he gave me a steroid and more medications and put me to bed. FINALLY......Saturday, I felt a little better. Our son and daughter-in-law decided not to come home because he has a big test coming up and they knew I had been sick. Our daughter decided we could go to their house Sunday and just grill out so I did not have to cook. Sunday, I got up and went to our Sunrise Service and we stayed at church (we live 32 miles from church.) We came home from church and went to bed and slept all afternoon. That afternoon we went over to our daughter's house for supper. I still felt rough, but much better so I decided I wanted the grandkids to spend the night with me...................so they could sleep in the next morning. We had a lazy day. We took them home Monday night so he could play t-ball. Tuesday............I went back to work. I over-slept..............never heard the alarm. And....I guess I was weaker than I realized because it totally zapped me out, but every day I am getting stronger so I guess it will just take some time. ALL those CAREFULLY MADE PLANS.....................CHANGED.................because of the BUMPS in the ROAD. And, you know what? Life still went on. Did I enjoy my spring break? NO. Not at all. BUT...I did not have to take off days without pay because I was sick, so the timing worked out. There will ALWAYS be BUMPS in the road.............we just need to learn to ROLL with THEM. I think I have mentioned before that my husband is a Bi-Vocational Pastor which means that he has TWO full-time jobs. His secular job pays our bills. He had everything carefully planned out...............he could take an early "secular job" retirement at 62...........and devote more time to his pastoring............or, if his secular job was not too demanding, he could work a couple of more years and then retire. All of that was shot down last March 2016. The company he has worked with for twenty-one years.....a large insurance company.....told the employees that many of the departments will eventually be closed because they are OUT-SOURCING to a company in India. No dates....times, etc. were told. Every few months, they will say........we should know something by the end of next month, etc. Thirteen months later..............we still don't know ANYTHING......................but in the meantime, they are treating their employees bad. They are demanding salaried workers to put in more and more overtime....without pay. They are writing them up for anything and everything. People have quit.................in fact, the entire company has lost thousand of employees. They are not replacing them...........they are just piling the work-load onto the remaining employees. It's been a VERY stressful and disheartening year...to say the least. At 61 years old....Roger never dreamed he may be out looking for a new job. He had an on-phone interview. Found out he would be doing about the same work he does for the larger company but on a smaller level. He found out it is a Christian based company and the majority of the employees are Christians. A portion of the company's profits even go to support missionaries. The owner of the company regularly sends out emails inviting any employees to join him for breakfast at a restaurant in Chattanooga for a Prayer Breakfast. TOO GOOD TO BE TRUE..............WOW! They set up an Lunch interview for Roger that lasted from 11:00 - 3:00. It went awesome. They told him he would be receiving an offer by mail soon. The new job isn't perfect...................there are some "issues" with it. Number one.....they want him to go to a week long school and be certified in IBM areas. That would require a week away and several tests that would HAVE to be passed to keep his job. His current secular job...............he works from home. About 3-4 times per year, he will drive to Chattanooga to the office to get something fixed on his computer, etc. But....normally, he works from home. There are also several things about the new job that will be NEW and Roger will have to apply himself and learn.....at 61 years old. The next week....NO OFFER. Then Roger got a call from the first guy that called him and said he was going to have to have a conference interview with a group from Nashville before they made the offer. That was set up for the next day....Tuesday at 1:00. Monday afternoon, he got an email from the current job saying he had a mandatory meeting at 9:00 and another one at 10:00 Tuesday. It turned out that he also had a 3:00 meeting with the current job on Tuesday also. The first meeting they were told that they were out-sourcing............it could take days, weeks, months or years before it was completed. No severance pay and no way of knowing who would have a job in the end and who would not. Second meeting were told that some departments may not lose everyone. Last meeting said if they lost their jobs, they may be offered another job with the new company..........if not, they may qualify for severance pay. When asked if they were going to offer early retirement.........three times they said no. Lots of conflicting stories and nothing adds up. Roger met with the new company for his third interview. He was told that the OFFER would be made soon. Then the doubts began..........was this God answering our prayers? Or, was this Satan saying............here is my opportunity to REALLY stress him out and keep him busy..........because his church is doing too good. ?????? But remember...............in ONE YEAR, Roger could take early retirement. So now......does He wait it out for one year and walk away, or does he began a new career at 61 years old??? I teach school and my Spring Break was last week............April 10-14. Our State Bi-Vocational Council Planning Meeting was April 7 & 8th in Knoxville.................so we decided to take the Sunday off.............and leave the meeting and go to Carson Springs for a MUCH NEEDED AWAY TIME. Our prayers were that the new company would allow Roger to wait until we come back from our mini-get-away before demanding an answer to the offer. We left on Friday, April 7th. NO OFFER had been received by mail. We went on our trip.....(which I will talk more of tomorrow............) came home, and still NO OFFER. By the middle of the week, Roger got a call from the original man and he said that they now wanted him to have a phone interview with the man he would be replacing. It turned into an hour of drilling...to see what he knows.. That was last Thursday. We thought we had it all figured out..................we took the time to go away and PRAY and MEDITATE to decide God's Will in our lives. Three and half weeks later................we are still just as confused. Still do not know what God wants Roger to do..................and still do not have answers. BUT....we are STILL PRAYING.......................and we are still seeking HIS WILL. AND...still waiting for the OFFER...............or NOT. PLEASE, LADIES...................I know most of you are FULL TIME Pastor Wives.....so this may be not hit home to you like a bi-vocational pastor wife............but PLEASE.....help us PRAY for GOD's GUIDANCE in this. And Yes......we KNOW.....it is All in God's Timing. He will guide us at the right time! I enjoyed reading Tara's words about the perspective of Good Friday in a child's eyes. This year, even more than normal......I enjoyed "experiencing Easter" through the eyes of children. I teach the 2 year olds until they begin Kindergarten at church during Sunday School and every Wednesday night. This year, I have a younger group of kids. Also, I have a 3 year old granddaughter and a 4 year old grandson, so every way I turn, I have enjoyed their excitement and their retelling of the REAL Easter story. "Our three year old granddaughter told me that Friday was a sad day because Jesus died on the cross. The mean people were mean to him and didn't love him like we love him and they nailed him on the big cross and put nails in his hand and made blood. They should have put the mean people in time out, but I'm not sure if they did or not. 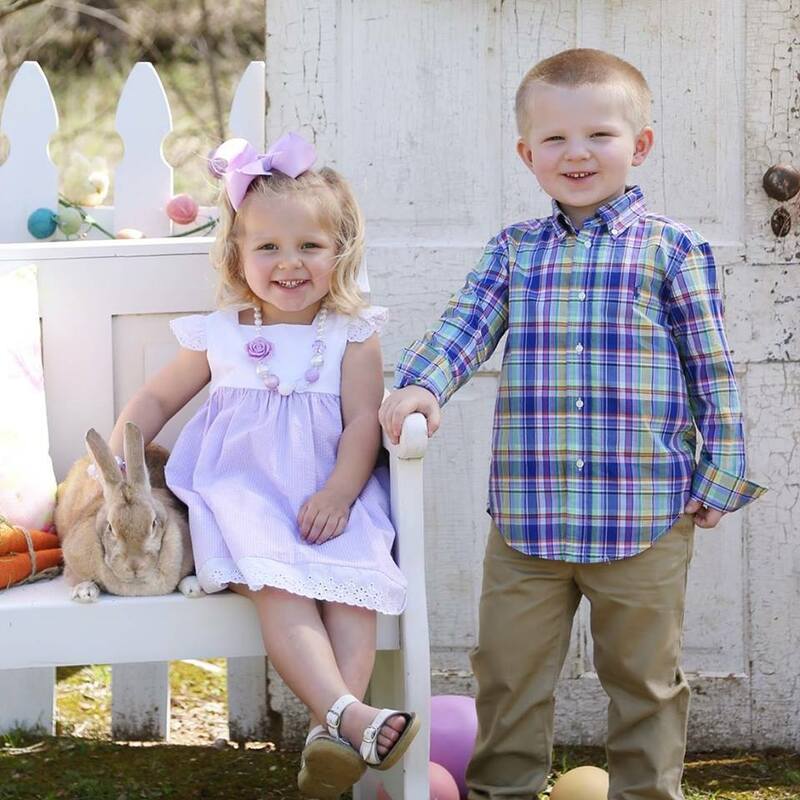 She went on to say, but Easter morning, the Easter Bunny comes because he is so excited because Jesus is Alive. He come alive and his tomb was empty. He lives in Heaven now and everywhere. We can't see Him, but he is everywhere. Mimi, why can't I see Him? Her and her brother went on to tell me that Christmas Jesus was born a baby. He was just a little baby....cause he was just born. Then he grew up and the mean people was mean to him and put him on that cross. But, he's alive now....and he's not gonna die again." I LOVE how easy it is for them to just accept what they are told. They get soooo excited and they do not question the why or why nots. Oh.......to be as a little child and sooooo trusting. With my preschoolers.....we spent four weeks learning about Jesus. Week #1....we had an early Palm Sunday lesson. We made donkeys and handprint palm leaves. I LOVE hearing my preschoolers AND grandkids saying...."Hosanna, Hosanna!" Week #2....we discussed the Last Supper.............and talked about when our parents partake of the Lord's Supper and what it means. I even brought grape juice and soup crackers for them to just "taste" because many times younger children do not understand about the Lord's Supper and they think that Mom and Dad are getting a special tasty treat and they are being left out. Only one of the 12 preschoolers actually liked the juice.....the others thought it was yulky. We talked about how one day Jesus will speak to their hearts and they will accept them as their Savior.............after that time, then, they too will be able to partake of the Lord's Supper. Week #3.....was Good Friday and it was a SAD DAY because Jesus had to die on the cross. Week #4....was Easter Sunday and it was a GLAD DAY because Jesus came ALIVE! We have seen, purchased, made and used the 12 resurrection Easter Eggs to tell the story of Easter, many, many times over the years. We LOVE it..................but.....it is our experience that even the older children tend to lose their attention span when going through the twelve eggs. This year.....since I have toddler grandkids and since I teach the pre-schoolers............I found the Toddler Version on Pinterest. I LOVE IT........for ALL AGES. I liked it so well....after I adapted it to my needs..........that I made all of my preschoolers plus grandkids one. Roger and I serve on the State Bi-Vocational Planning Council and it met Palm Sunday weekend, so I made each family a set to take back and use at their church. It is VERY simple, but right to the point. Surprise of EASTER............JESUS is ALIVE! All of my preschools plus my grandkids..........were able to tell me what each egg meant. My most favorite part of my job is leading a short, age-appropriate chapel time for 3-5 year old little people on Tuesdays. As a weekday preschool director of a sizable program, this is the only consistent interaction I have with our small people. Watching their bright, big eyes light up with delight when they learn something new about Jesus never, ever, gets old. Don't get me wrong I love their smiles and hugs. I look forward to their high-fives and thumbs ups. But when they hang on the words of the Bible story, anxiously awaiting how Jesus will save the day - there is simply nothing like it. Many of the stories have become stale to most of us that don't remember the first time we heard about the little man who climbed the tree or the baby in the manger. But these stories are fresh and fascinating to their little ears. This Tuesday, I found myself trying to explain how Good Friday was "good" to my preschool friends. Jesus, completely innocent of any wrong, was brutally beaten and horrifically murdered in the most gruesome of manners. Yet, it was good so very good. We teach these little people "good" and "bad" and "right" and "wrong" when show them how to take turns and redirect their behavior when they make a "poor" choice hitting a friend out of frustration. Yet, here I am telling them that Jesus died and it was good. In their innocence, they play and imagine games that often include acting out scenes where someone "dies." The child closes their eyes, less than a minute passes. Their eyes pop open. They spring to their feet and carry on. Is that what they think happened on Good Friday? I mean, how can death, any death, but especially the death of Jesus, be good? I struggled with how to explain the gravity of what happened countered with the inexplicable hope that Jesus' death births. Most preschoolers are not even aware of their personal sin yet.... How do I simply explain these truths to a child? I found myself wrestling with this question over the next two days. Then, last night, I read a blog from desiringgod.com. The author, David Mathis, highlighted many reasons that this singular day was the worst day of history. Never had man been so evil, so corrupt, so bad. He ended the post with simply stating that Good Friday was good, because God made it so. What man intended for the worst kind evil, God meant for the best good. Mathis points out that Joseph's words in the end of Genesis were fulfilled in the most ultimate way. 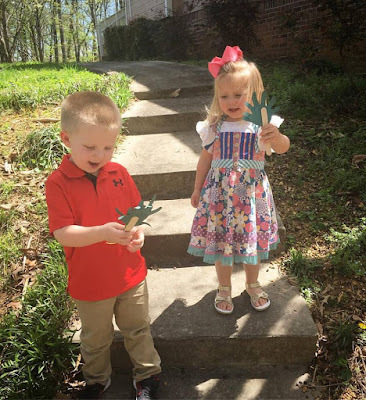 As I pondered the blog and the kids' unquestionable acceptance of Jesus' death and resurrection, I realized that it isn't about the children's inability to understand or their ignorance of life experience that enables them to see Good Friday as being "good." It is all about their childlike faith. God said that this horrible Friday is good, so it is. God declares the events of the day good, so they are. For them, at their ages, that is enough. God said so, so it is. Yes, there are depths of understanding that I pray for these kids to one day understand. I actively pray that these basic seeds of faith that we are planting will be watered by the Holy Spirit and one day produce the harvest of their salvation. The more life I experience and the more truth I understand deepens the meaning of this day. My worship is heightened and I choose to draw closer to my Savior on Good Friday. Yet, I am a little jealous of my little friends' simple faith. No questioning - Did He really die? Did He have to die? Could it really be true? If He didn't die this way and IF He did really rise, then have a based my whole life on a lie? These children have no cynicism. They may have stood by a casket gazing at the effects of death in the still, empty shell of a beloved grandparent. But they can easily live in the acceptance that they will one day see this dear one again, alive and more full of life than they have ever experienced, because of Good Friday. Let's face it, this kind of faith is harder for us as adults. But this HOPE is why God declared this day "Good." I don't have to have it all figured out. I can choose to believe just because He said it. That is my focus this Easter season. Lord, please give me a childlike faith this Easter week. Make my worship and acceptance of this wonderful truth just a pure as a child's perspective of Good Friday. I find myself in the middle of an interesting life phase. I thought it was coincidental that it began the year I turned 40. Maybe it is and maybe it isn't. Only God knows for sure. What I know for sure is that God began to stir a "restlessness" inside of me. He was patient and gentle as He showed me that I had a deeper need for more of Him than what my ritualistic Bible reading and church-related responsibilities were affording me. He revealed my fave sins of self-righteousness and my many manifestations of pride. This restlessness led me to deeply seek Him with intentionality and I was rewarded with exactly what my soul needed, more of Jesus. It hasn't always been easy, but it has most definitely been worth it. Processing old "junk" and seeking new direction is something that I have come to accept as a way of life. I want to be restless in these areas. My hope is found in the promise of Philippians 1, that God will finish this good work He has begun in me. (I just have to remember that it is work and it is good!) There will be an end. However, in the meantime, it is this restlessness that propels me further from my old, sin nature and toward a faith-stretching, God-seeking perspective that asks "What's next?". I can't be content with where I am. But there's a problem. There are certain aspects of my life that I am called to be content in. Just a couple of chapters later in Philippians, Paul is writing that he has learned to be content in whatever circumstance he might find himself in. I know from my own experience that if I am always looking for what is next, that I miss opportunities that God has for me in the present. I can't be fully "in" today if I am trying to figure "out" tomorrow. My husband and I have served churches that were hard to serve. We wanted to go somewhere, anywhere else, but knew we were where we were supposed to be for that period of time. While it was hard, and we definitely felt restless, we were content to be where we were. We experienced the blessings of accepting that was His plan for us. Neither extreme is good. If we are always restless, we miss the blessing of contentment, never being satisfied or finding fulfillment. If we are always content, we grow stagnant and miss the grace that God uses to grow us. I really wish I had the secret of walking the balance beam between the two, restlessness and contentment. I do know that in the busy-ness of of the everyday, Satan can lull us into a complacency that is neither being content or being restless. Usually in my life, it is simply being busy. Satan uses that busy state and compounds it with the lies that the mundane routine of dishes and laundry and everything else that never seems to get "done," is meaningless and pointless. Please remember, that Satan is our enemy and that God calls us to live in the everyday. It is in these everyday activities where He grows and stretches us, where we learn to serve like Jesus did. It is in a lifetime of everydays where a lifetime of faithful service to Him is made and a legacy of Christlike faithfulness is formed. Right now, in my life, there remains a restlessness for the extraordinary as I seek to be content in my everyday. I truly believe this place I am in is a grace where God is calling me to pray, to dream and to wait expectantly to do the things in and through and around me that only He can do. And, let's face it, we would all like to see God do only extraordinary things all the time. Wouldn't it be great if we could always live on the mountain top of spiritual highs and experiences? That balance beam between restlessness and contentment intersects with another beam between everyday and extraordinary. The only thing that I can think of that will keep me from falling into an extreme, and on the faithful path of remaining in God's will, is to pray for discernment. I am praying to know when to be restless and when to be content. I am praying for the exciting faith of the extraordinary and the accepting faith of the everyday. I will be and I won't be. Last week, I found myself offering to bring a meal, or watch kids, or do anything for a family that I knew was going through a hard time. Each offer of service was politely declined. They had things covered. They were facing the challenge with God's grace and were not worried. Yet, I desperately wanted to "do" something for them. Of course, I said that I would pray, but I really wanted to "do" something. There had to be something, anything that I could "do." I walked away from this dad and immediately felt the Holy Spirit prick my heart. "Just" pray? It was as if the Holy Spirit was whispering in my ear, isn't praying "doing" something?! A few days later, I sat in on the staff devotional time at the church where I work at and listened to the discussion on prayer. The pastor challenged the staff to think about what Paul meant when he extolled the Christians to "pray without ceasing." One minister transparently commented that we as Christians in America don't seem to "need" to pray that way. We only pray when something is wrong, or not "right" in our spheres of influence. An administrative assistant said that to "pray continually" was an attitude to maintain. Both thoughts were convicting, especially as the Holy Spirit brought to mind my encounter with this hurting, overwhelmed father a few days prior. What do my actions and attitudes say about what I believe about prayer? I know the Sunday School answers to that question. If I am asked by one of the teens in my Sunday School class, I wouldn't hesitate to talk about how I know God hears and answers prayers. I would encourage that young, inquiring Christian to mediate on how amazing that it is that THE God, Creator of all we see and know would listen AND answer the prayers of a seemingly insignificant individual. I would make sure I included how prayer changes things and how prayer changes us. I would want to make sure I clearly communicated that prayer is also how God clearly communicates with us as well. Yet, in my real life situations and circumstances, prayer doesn't seem to be enough. I go through my days with a self-sufficiency that says I don't need to pray; I don't need God. An attitude of prayer? I am just too busy to maintain that kind of focus. The same night of the staff devotion, I gathered with a group of sweet friends at our local Panera. I asked them to pray for me without hesitation, because I knew that they would. I know that they value prayer and that they believe in the power of prayer. My prayer request of my friends is evidence that I do believe deep down what I would say I believe about prayer. The gentle pricking of my heart by the Holy Spirit is simply a part of the sanctifying dance that God is using to make me more like His Son, as I work out my salvation with fear and trembling --- God was gracefully prompting me to pray. I need to pray but not like I've been praying lately. I need to pray in a continual attitude that says I need Him. I need to value the prayers I pray for others as "doing" the most important thing that I can "do" for anyone. I need to walk the walk that I would talk about believing when it comes to prayer. It also makes me question where else my talk and my walk aren't quite matching up. Last post I shared my total lack of discipline in what I ate, what I did, what I thought and what I said. All very disconcerting and disheartening and sad and scary. And I could not seem to ‘fix’ it. I so longed for an easy formula to be and do all God wants me to be and do. Interestingly or coincidentally or providentially as all of this misbehavior is going on I am trying to prepare for the retreat I am speaking at in.3.days!!! Three days from now I am to stand in front of a group of women who have come to spend two days hearing from God and I am supposed to be the one to lead them to do that? The passage they gave me is Colossians 3 and the theme they asked me to speak on is “Spring Cleaning: Getting out the Junk”!! Junk is all I got!! I am a mess!! Besides, I don’t spring clean!! I WANT to spring clean. I love the results of spring cleaning. My mom spring cleaned. But, remember, I am not being disciplined in my time so instead of spring cleaning (if for no other reason than to use as an illustration for this retreat) and studying and writing, I’m playing solitaire and eating cinnamon rolls!!! I hope that you are picking up on the state of my affairs right now….if not, read last post. During these days of total lack of self-discipline (which, by the way, is something I struggle with on an on-going basis….and have for years—OK, decades….not just this week…but for some reason, this time has been super hard and scary) I have had some breakthroughs. On those days before I got out of bed I pleaded to the Lord to help me focus on Him and accomplish what He wanted me to do. And He did. When I let Him. It was during those times that, as I poured over Colossians 3, I discovered my ‘formula’. My 2 ways (not 2 easy ways) to win over indiscipline. 1. Put them all aside. "Put aside" or "take off" things like impurity, evil desires, anger, malice, slander, lying and abusive speech—just to list a few that Paul mentions in verses 5-9. It is also important to name them!! Give the things that keeps “the peace of Christ from ruling in our hearts” a name. Be specific! 2. Put on new self. Put on compassion, kindness, humility, gentleness, patience, forgiveness, be thankful and love to name just a few that Paul mentions in verses 10-17. Do everything in the name of Jesus!! E.v.e.r.y.t.h.i.n.g!! I way too often do everything in the name of Dana!! What Dana wants, what Dana feels, blah, blah, blah. Not easy steps to be sure. Not an easy formula...but vital for me to get out of this mess!! I love how He tells us to put off certain things--which really is a picture of taking off clothing--getting undressesd....but He does not want us to stay naked!! We must THEN put on certain things!! Get dressed!!! How am I supposed to do these two things? Verse 10 tells me how. 1. Know what God says in His word. Get in the Word, Dana James!! Not simply to teach it but for POWER!! Power to eat and do and think and speak Godly. 2. Remember who God created me to be. He created me to be an ezer (Genesis 2:18)!! A very strong warrior helper!! Stop being a wimp, Dana James!! Get up. Pick up your sword and fight for Godly!! Fight to stop doing what the flesh wants or doesn’t want!! Just writing these words fill me with hope and anticipation and courage. The true test will come when I finish this and hit publish. What will I do then? Will I celebrate and go get a large, sugary, cinnamon roll? Will I play solitaire instead of studying? Will I think ungodly thoughts and say hurtful things or will I throw those things off and eat right, be productive, think on things above and speak Truth in love? What I DO know is this, the temptation is great. It is real. But we KNOW His power enables us to run from temptation. I cannot, will not, put on the new self in my own power. This, we know, is basic Christianity….nothing we didn’t already know. But why? Why in the world do I keep on forgetting and try to do this thing in my own power? Forgive me Lord! Empower me to put off me and put on You. I pray for the one reading this that might in some way relate to what I am saying….give her Power as well!! In Jesus’ name…amen!! Where Are The _____ Ways to Help Me With This? You know, lists! Not a lot of verbiage. Concise. To the point. No nonsense. Just do it kind of stuff. For me, it almost seems like a formula. This + these things = success! Done! Mission accomplished. Wha-la! Let’s move on to the next ‘issue’ and formula. I really, really, REALLY wish I had a 6 step or 12 step or 1,000 step process for my state of mind this last week. I’m not really sure how to explain this ‘state’. Zero discipline in what I ate, what I did, what I thought and what I said, just to name a few!! I was not disciplined in what I ate. One day when I was not working I thought if I could just get some errands run I’d at least get something accomplished. Got dressed (sort of….if you call throwing on sweats and a tee shirt—long sleeve cause we are still wearing long sleeves in spring in the mid-west cause it is still cold, no makeup, no hair combing….but at least I wasn’t in my jammies.) and gathered up the items that needed to be returned, coupons to be used and my list and out I went. I literally drove to my first stop and could not do it!! I could not make myself go in and take care of business!! I was paralyzed. Immobile. Stuck. What.in.the.world??? Instead….I drove to the new donut store. You see, they have large, sugary, cinnamon rolls. I love large, sugary cinnamon rolls and, until now, there have not been any large, sugary cinnamon rolls around my neck of the woods. I ate, ok I devoured/inhaled, said cinnamon roll…in the car...being careful to remove all evidence of large sugary pieces that accidently fell off and on to me and the car seat. I did that for 4 days. Yes! For 4 days! The odd thing is that each time BEFORE I went I longed for them. Desired one. It literally compelled me to come. But each time AFTERWARDS I felt terrible. Miserable. My belly hurt and my spirit hurt. But writing this now….I want to go NOW and get another one. This cinnamon roll experience is just one example of how undisciplined I have been this past week with what I put in to my mouth. Sure don’t want to mention the Big Macs and French fries and gallons of Dr. Pepper. I have not been disciplined with my time. I look around at all of the tasks that must be done and honestly, I really want to do as well. Instead. Solitaire. Stupid, ridiculous, time wasting solitaire. Plain solitaire. Spider solitaire. IPhone, iPad or computer. Didn’t matter. Instead of writing for a retreat I am speaking at THIS WEEKEND my clicks and touches and computer time go to solitaire!! What.in.the.world!!? I have not been disciplined with my thoughts. Oh.my.chili!! The thoughts I have had are selfish and prideful and harmful and crazy!!! Example? For one, I decided in my mind that I am not going to reach out to anyone at church anymore because, 'what’s the use'? They are gonna love me/us now, but something will come up eventually and make them mad at us, so, what’s the use? What.in.the.world?? Additionally, I overheard one side of a phone conversation our daughter was having and I made terrible, wrong, way off track assumptions that led to me being sad, defensive, hurt, and withdrawn. What.in.the.world?? I have certainly watched enough of the Hallmark movie channel to know to NEVER make assumptions based on one side of a phone conversation!!! I have not been disciplined in what I said. Let’s see now, what example should I share??? Yesterday, during a time frame where I wasn't paralyzed and could actually DO something productive and run errands, I was in a store. One of those very large box stores. I gathered my items—just three of them—and went to check out. One of the items rang up more than what the sign said they were and I politely pointed that out to the cashier. Shockingly, she did not offer to check in to it. She did not blink an eye but said, ‘that is what they are ringing up for.’ I paid my money but, no, I could not just let it go. Sure enough, after trekking what seemed like 4+ miles to where the sign was for the item I bought, I WAS RIGHT!! I condescendingly took a picture of the proof and stood in her line so that I could tell her “I TOLD YOU SO”. All of that for $0.35!! 35 cents!!! I got all riled up over 35 cents!! What.in.the.world!!?? I walked out of the store thinking, who are you and what are you doing? I was in tears wondering who have I become and what is happening? I could go on and on about how I have not been disciplined in other areas besides what I eat, what I do, what I think and what I say. And I hate it. It disgusts me. I loathe it. It scares me. I want to fix it. Once and for all resolved so that I can live the disciplined life God called me to live. Where are the X number of steps to make this happen? Where is the easy formula? What I do know is that there is no easy formula….but there is a way. What I also know is that it isn’t a one-time fix…it requires total dependence on the God of discipline….continually. A word to those of you who do not struggle with self-discipline. Who always eat right and are always productive—go eat a cinnamon roll and play some solitaire. I’m not trying to cause you to sin but sometimes we can get in such a rut that we miss fun and become prideful. Besides, eating cinnamon rolls and playing solitaire in moderation is totally OK! I look forward to the day when I can do both again without them controlling me!